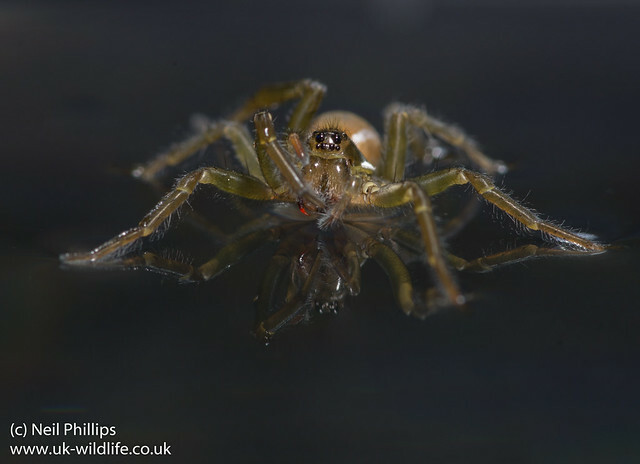 Some photos taken using my photographic aquarium of a pirate spider Piraticus sp. 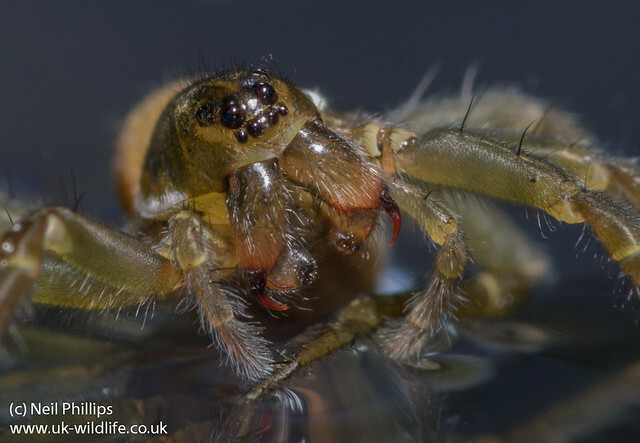 This spider can be found around and sometimes on the surface of ponds. 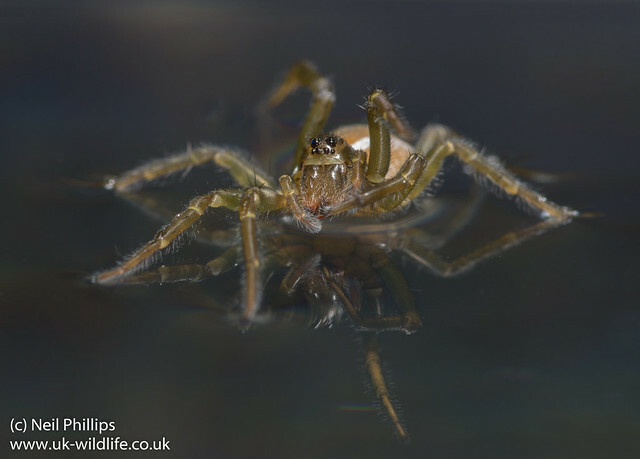 This one was flashing its fangs while on the water. 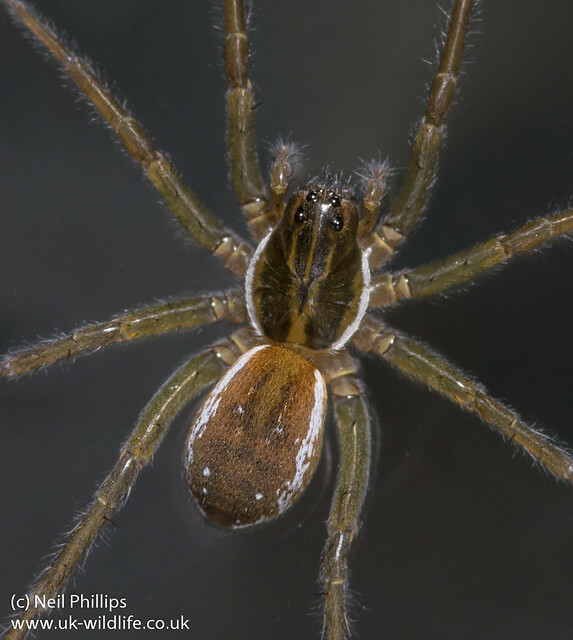 This species should not be confused with the much larger raft spiders. Great shots, particularly #2. 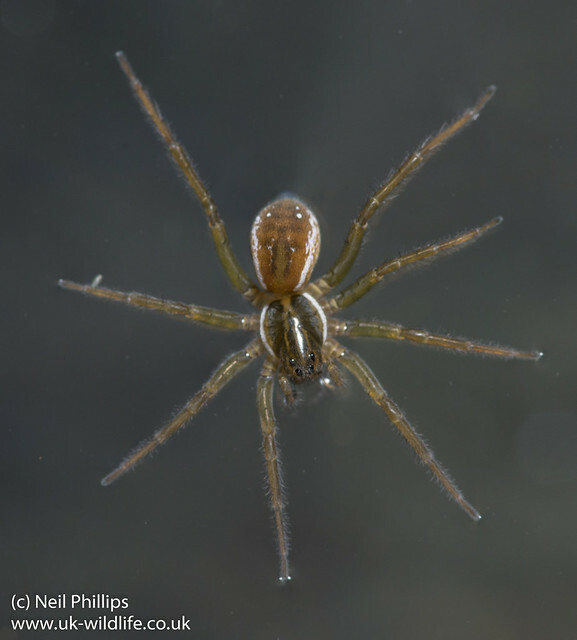 Were they taken through the aquarium glass?